Swati Polypack offers you the hard-wearing shrink wrapping machines which are well-programmed for organizing the bottles together. The tunnels, made by the Stainless mesh belt and high-density roller make it fast moving. If works more capably, when it gets allied with the sleeving machine with 1.0KW input power. The three phase input voltage helps the user to get the desirable result. We manufacturing & supply different type of Shrink Wrapping machine for bottle, Jar, Tin you know shrink wrap machine, packaging, heat shrink tubing, shrink wrap, packaging machines, plastic wrap machine for bottle, food bottle wrapping and packaging machines ,Group Shrink wrapping packaging machine, Shrink Bottle packing machiness, packing machine, packing machine, shrink wrapping heat shrink tubing machine online provide heat shrinkable packaging machine delivery in India shrinkable packaging machine, including the pillow packaging machine, food packages installed, shrinking machine, POF shrink film packaging machine, horizontal packaging machine. 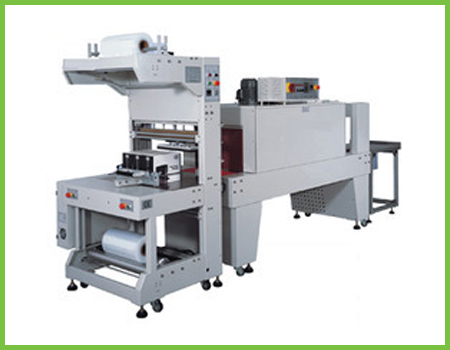 Heat shrinkable packaging machine including shrinking machine, made in INDIA shrinking machine suppliers, sealing machine,sealer machine.